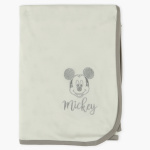 Mickey Mouse Printed Receiving Blanket - 76x102 cms | Multicolour | Keep your baby warm and cozy with fashioniated looks. 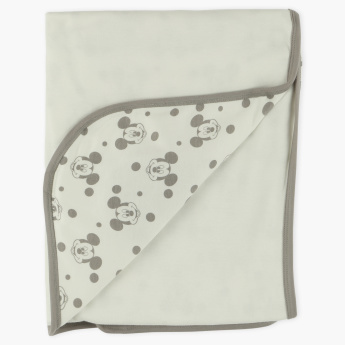 Wrap up your kid in this adorable receiving blanket and delight in the sight it promises. Featuring a print of Mickey Mouse all over, the blanket is made from a soft fabric for a cosy feel. Feature 3 : 100% pure cotton made for baby delicate skin. Feature 2 : 2 ply blanket with from solid colour and inside all over printed MICKEY character .